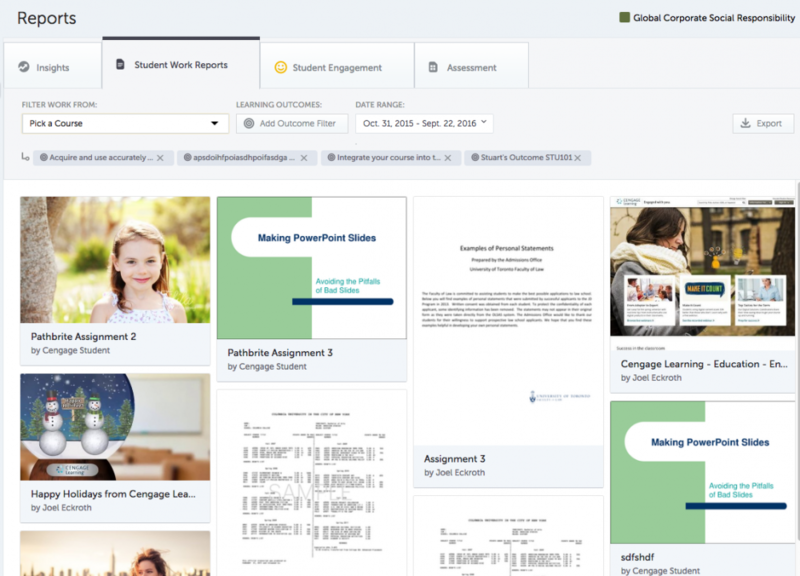 Pathbrite offers four reports. Click the tab corresponding to the type of report you’d like to generate and view. 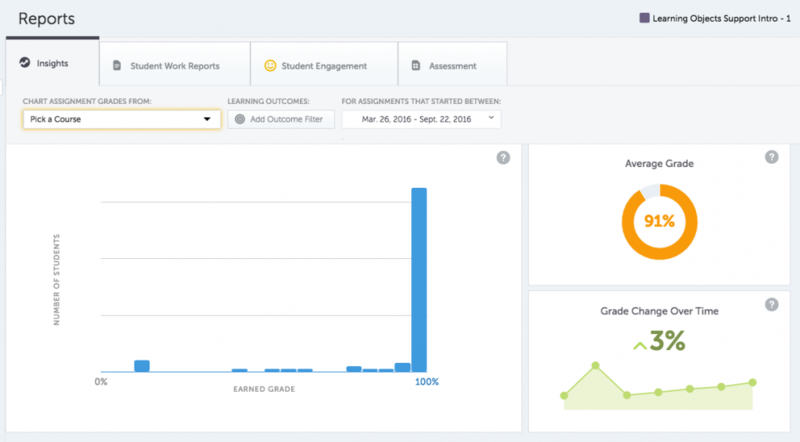 Insights offer you a high level view of how well the class is performing. Click the ? to get information on what the report means and how to read it. Unlike other reports, these insights can not be exported. The Student Work report is a visual summary of what students within a given scope, has recently uploaded. We strongly recommend filtering the results using the Learning Outcome associated with the assignments you are interested in. You may export a list as a comma-separated-value file. The Student Engagement report is a simple spreadsheet showing how active each student is within the course. Pathbrite tracks sessions, artifacts uploaded, comments, shares (or attempts to publish their work) and a “total” for relative comparisons. You may export this report as a comma-separated-value file. The most significant difference between a course report and reports generated for programs and for institutions, is the applicable scope. Running a report for a given community does not allow you to quickly “drill down” into specific courses. Likewise, you may not run a report for a program and filter it by the courses that contribute to a program. Instead, please create and apply Institutional Outcomes. For example, if you’d like to filter all English courses within your Humanities department, give each English course a common Learning Outcome.